Vapor-compression cooling can be found in virtually any home, such as in air conditioners that remove heat from our homes and in refrigerators that store our food. The history of vapor-compression goes back to 1805 where Oliver Evans, an American inventor, described a closed vapor-compression refrigeration cycle for producing ice. The first working vapor-compression refrigeration system was built in 1834 by another American who was living in the UK, Jacob Jenkins. This blog post will explain how this vapor-compression refrigeration cycle works and how it can be applied, or you can watch the video explanation, here. 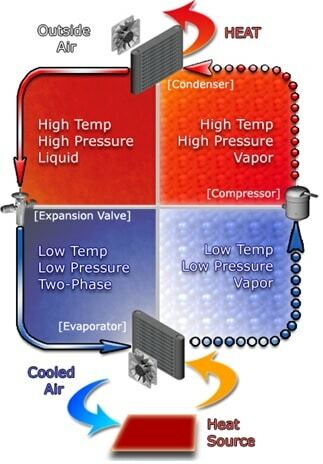 Vapor-compression cycle refrigeration is a process that uses the physics of phase change heat transfer and the unique properties of a refrigerant to transfer heat from a relatively cold source to a hot medium. Simply stated, refrigeration systems efficiently move heat from a cold source to a hot heat sink (normally air). The components in the basic refrigeration system are the compressor, condenser, expansion valve, and evaporator. The heart of the system is the compressor. The compressor takes in a low temperature, low pressure refrigerant vapor, and compresses it into a high temperature, high pressure vapor. This high temperature/pressure vapor then enters the condenser where heat is removed to either air or water. As the heat is removed, the energy stored in the high pressure gas is released and the refrigerant gives up its latent heat as it reverts to a hot liquid. This hot, high temperature liquid then exits the condenser and enters the expansion valve, where it undergoes a pressure drop causing some of the hot gas to vaporize. This lowers the temperature of the refrigerant stream. The refrigerant at the exit of the expansion valve is a low temperature two-phase fluid. This two-phase fluid enters the evaporator where it is exposed to the heat source. The heat from the source boils off the refrigerant through phase change heat transfer, and the low temperature, low pressure gas enters the compressor, completing the cycle. It is useful to understand the refrigerant cycle in the quadrant shown in Figure 1. The high pressure, high temperature upper half allows the refrigerant to become significantly hotter than ambient air, forcing heat transfer into a habitually hot environment. The low temperature, low pressure half of the cycle allows the refrigerant to absorb heat from a source that is not as hot as the environment. The compressor does the work to raise the pressure, and the expansion valve assures that adequate pressure is retained in the condenser for heat transfer. 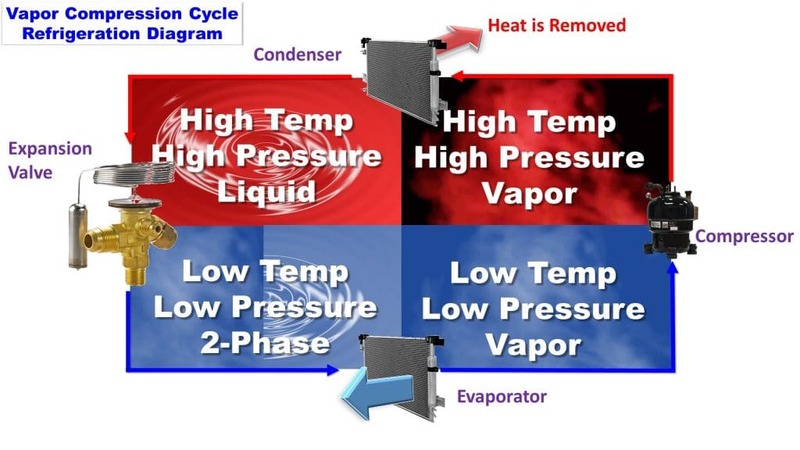 The vapor compression cycle can be used to cool air, liquid, or cold plates. All that is required to accomplish this is to modify the evaporator to accommodate the systems that are being cooled. To create an air cooling system, the evaporator acts as a refrigerant to an air heat exchanger. The air cooling system is used in buildings, automobiles, and in electronics enclosures where air cooled rack-mounted equipment is being cooled. To cool liquid, the evaporator again acts as a refrigerant, this time to a liquid heat exchanger, with the pumped liquid being cooled by the evaporating refrigerant. The liquid cooled system is used for systems such as lasers, electronics, and medical devices that are designed for liquid cooling. A third alternative for cold plate cooled devices is to run the refrigerant directly through the cold plate. 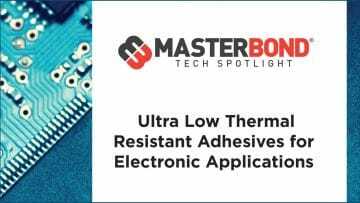 With the evaporator as the cold plate, the devices being cooled have the advantage of phase change heat transfer with minimal temperature rise. 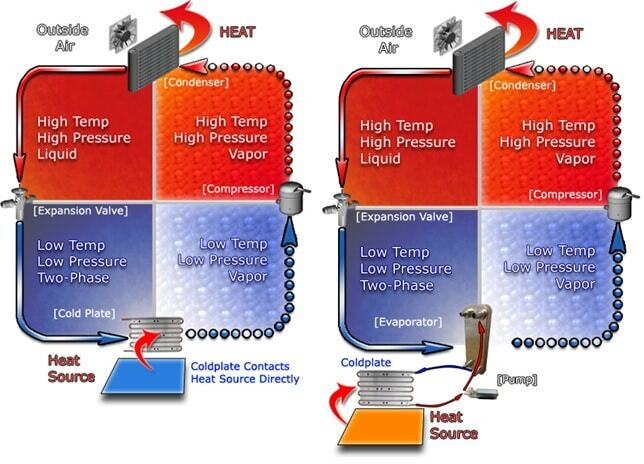 Vapor-compression cooling is adaptable, efficient, and effective at cooling. Watch “How Vapor Compression Cooling Works” to learn more. Rick is a freelance writer, marketer and business development specialist with over 25 years of experience in the technology sector, offering specialty services through Technical Solutions Marketing, his consulting firm. He can be contacted at rick@techsolmarketing.com.